What used Audi TT coupe will I get for my budget? 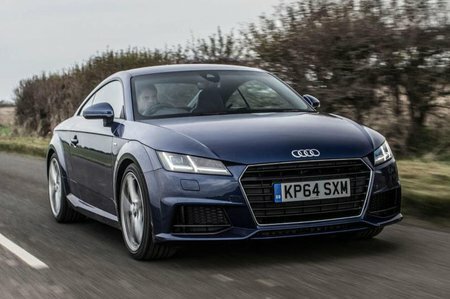 Prices for the third-generation Audi TT currently start at around £16,000 for a 2015, or maybe even the occasional 2016, car with a below-average mileage for the year. Up the money to between £18,000 and £22,000 and you should find a clean late 2016 model bought from a franchised dealer, while above that figure buys you a 2017 or 2018 car with a negligible mileage. Expect to pay a slight premium for a four-wheel-drive ‘quattro’ version. How much does it cost to run a Audi TT coupe? The 1.8-litre TFSI engine is the entry-level petrol unit in the TT and combines excellent performance with an average claimed fuel consumption of 47.1mpg. 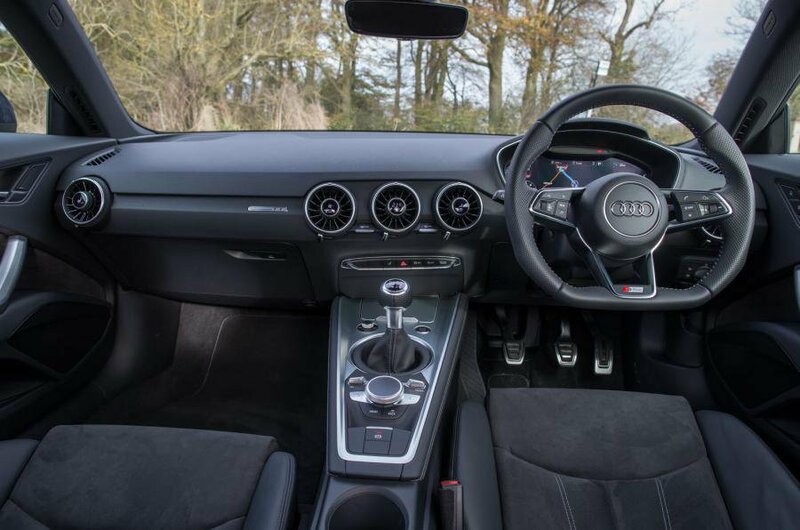 The 2.0-litre TFSI engine is not that far behind it, or at least the 230 version of it; the more powerful 2.0 TFSI 310 model is super-quick but not terribly efficient, and the same can be said for the 2.5-litre in the storming TT RS. For the economy-minded, there is a 2.0-litre TDI diesel engine available. This provides good performance with an excellent claimed average fuel consumption figure of 60.1mpg while emitting just 124g/km of CO2. Servicing costs are reasonable, given the sporty nature of the TT. You can opt into an Audi service plan for cars between three and five years old for a one-off cost of £450 or 18 monthly payments of £25. This covers your next two services.